"Situated on Prime Sand, this Custom Oceanfront Oasis will Captivate You. 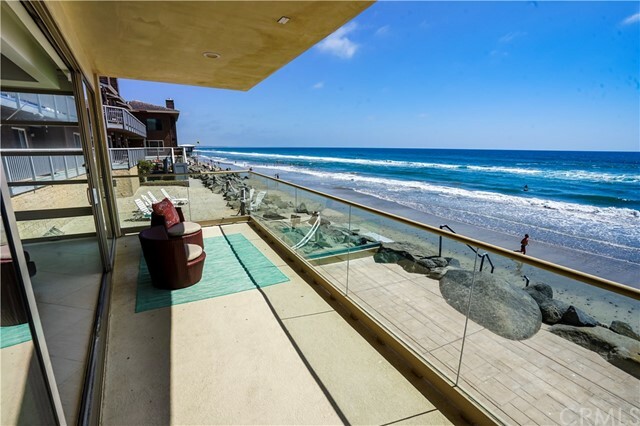 Breathtaking Unobstructed Ocean Views from La Jolla to the Pier. Exceptional Architecture, Choice Materials & Fixtures for the Most Discerning Buyer. Edgar Lamas Designed Cabinetry, Chihuly School Chandelier, French Slate Floors, Rare Brazilian Granite, a Fabulous Spa. No Expense was spared. No Detail Overlooked. Indoors & Out. From the Rooftop Terrace to the Private Beach, this Magnificent Coastal Retreat is the Cr me d"
"Vintage beach cottage on large lot. Prime location across from the beach! Take in the gorgeous sunset, ocean breeze and views while having a BBQ on the deck. Enclosed sunroom. Walking distance to world famous Oceanside pier, restaurants, Movie Theater, shopping, transit, and entertainment." "Prime location across from the beach! Take in the gorgeous sunset, ocean breeze and views while having a BBQ on the deck. 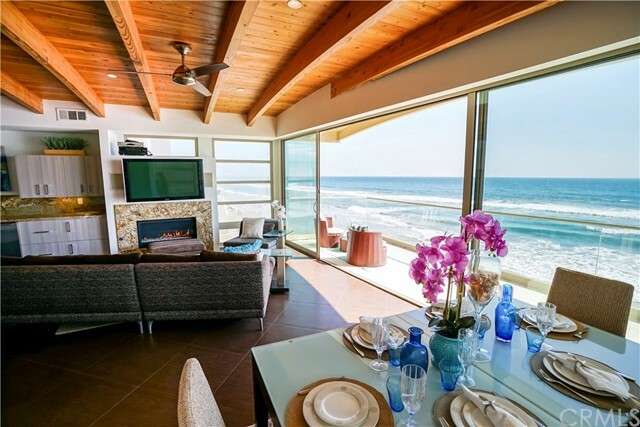 Breathtaking ocean view from the front deck, living room, kitchen and bedroom. 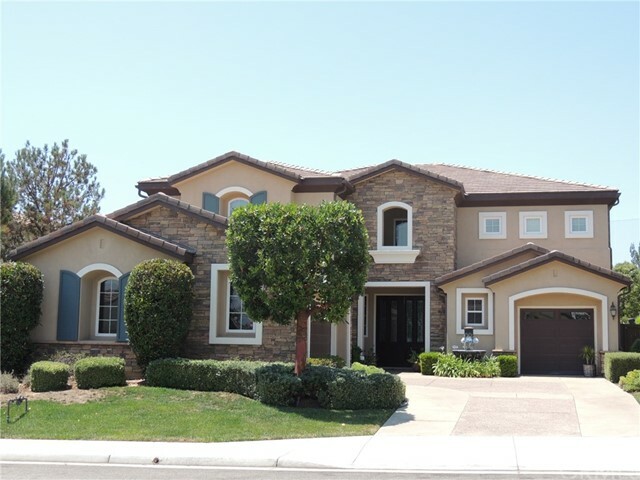 Designer home with granite, hardwood floors and much more. Walking distance to world famous Oceanside pier, restaurants, Movie Theater, shopping, transit, and entertainment. Includes detached back unit." 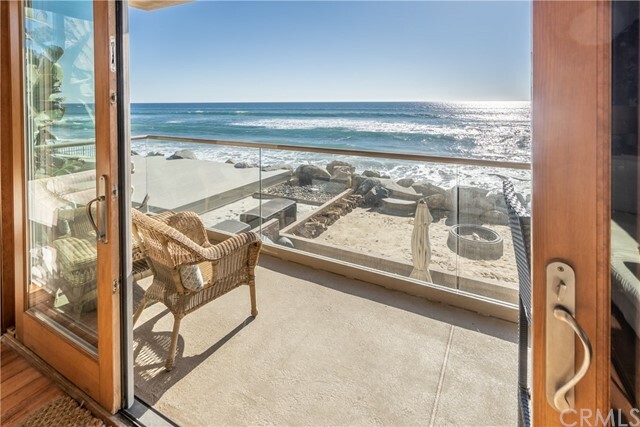 "WELCOME TO THIS AMAZING OCEANFRONT CONDO IN THE HEART OF OCEANSIDE WITH UNINTERRUPTED OCEAN VIEWS. ENJOY BREATHTAKING OCEAN VIEWS AND LISTEN TO THE SOOTHING SOUND OF THE WAVES CRASH FROM EVERY ROOM! FEATURES A LIGHT AND BRIGHT OPEN FLOOR-PLAN WITH THE KITCHEN OPENING UP TO THE LIVING ROOM. THE LIVING ROOM FEATURES A COZY FIREPLACE AND LARGE SLIDING GLASS DOORS ONTO THE GLASS ENCLOSED BALCONY OVERLOOKING THE SAND AND WATER. ALL LIVING AREAS AND BEDROOMS ON SECOND LEVEL. SEE ATTACHMENTS FOR LIST O"